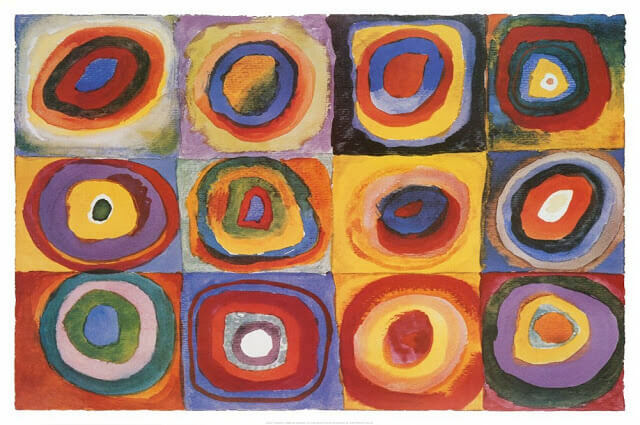 Wassily Kandinsky, the abstract expressionist artist, is well-known for his concentric circles. 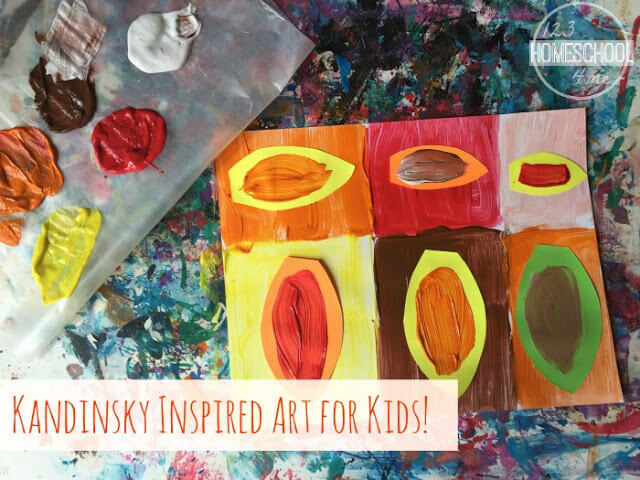 Your child can study the art of Kandinsky, while creating her own artist-inspired painted collages. 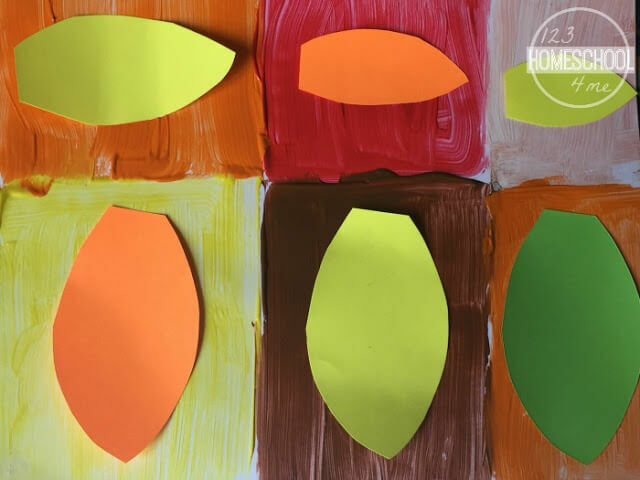 This is a fun fall art project for kids. 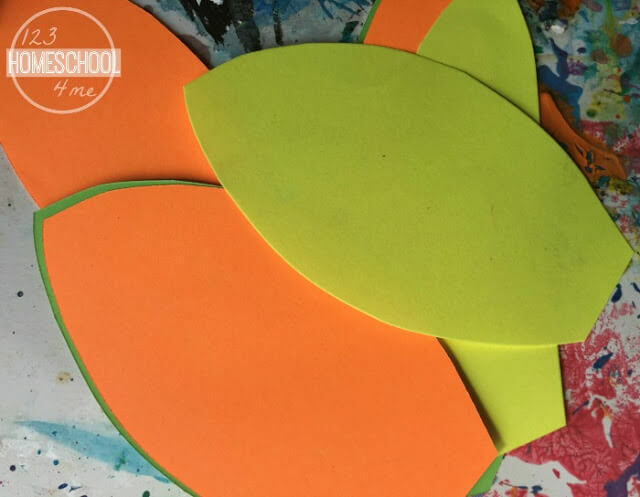 Instead of using concentric circles, this kids’ art activity incorporates fall leaves. Not real leaves, but a few leaf shapes that your child will create. Connect to this lesson the fall season, weather and plants (leaves). Take a look outside (or go on a nature walk) and talk about what your child sees. Discuss the fall colors and the shapes of the leaves as they fall from the trees. Fine motor abilities – improve dexterity and eye-hand coordination though cutting and painting. 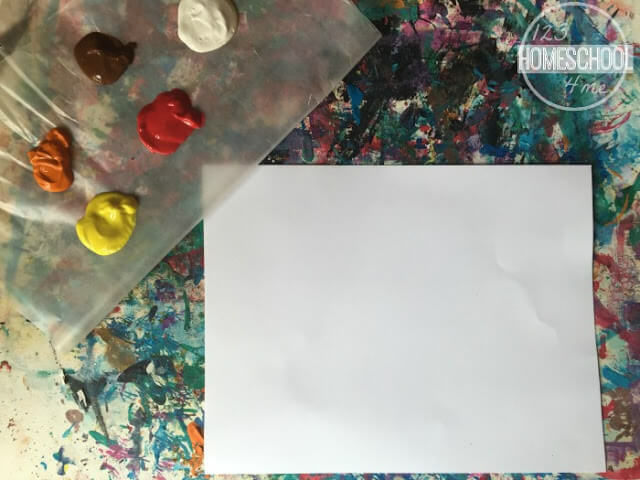 Pour the paint onto a palette. Or, use wax paper as an inexpensive alternative. Choose fall colors, such as red, yellow, orange and brown. the leaves into the squares later on. Cut leaves from the paper. 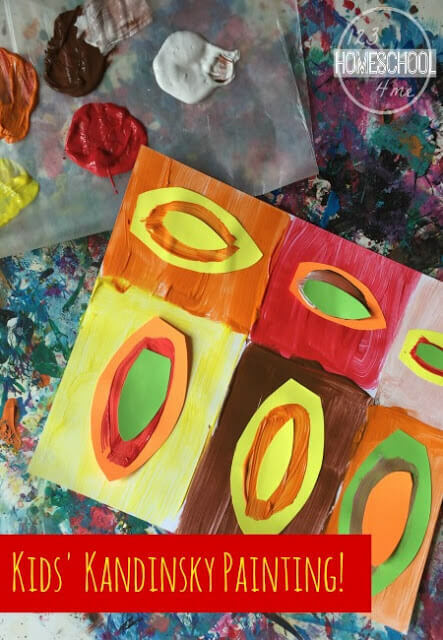 Your child can create oval shapes in different sizes. Glue a leaf down onto each square. Paint another leaf onto each paper leaf. 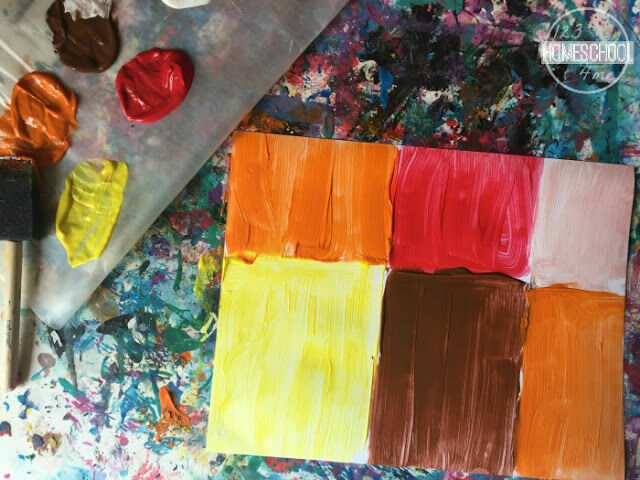 Your child can pick other colors, to give the artwork some contrast. Now glue another smaller leaf on top of the leaf making concentric leaves. Your child can stop there or she can keep going. She can add as many leaves (as they get progressively smaller in size) as she can fit on the paper!